Not only can the lack of integrity kill the individual involved, it can also cut down whole groups of innocent people as well. It was a Tuesday morning as we sat in the office and prepared for the day’s work. With the TV on so we could see the shuttle launch we saw the Challenger lift off the pad and then as was normal we would run outside so we could watch as the shuttle went into space. But something was very different, very wrong. We went back in and sat in front of the TV as the story unfolded. It was a chilly Tuesday morning, 28 January 1986, when Christa McAuliffe climbed aboard the Challenger space shuttle for her historic mission as the first citizen in space. She was a teacher. I only pray that we learned something about the consequences of getting an "F" in integrity. The weather was cold, but unbeknownst to the rest of the nation a group of engineers was fighting back the hot sweat of worried anticipation. Would the booster seals hold in this kind of weather? Was it safe to launch? Knowledgeable engineers and designers said, "No." Influential executives and planners said, "Yes." When the space shuttle Challenger lifted into the sky and blew up seventy-three seconds into its flight, the world was shocked. Most of us have seen the videotape of that terrible moment many times. And we can recreate the picture in our minds of a deep blue sky marked with twisted trails of smoke and large chunks of metal plummeting toward the ocean. And we know, as we recall the grim specter of the explosion, that among the falling pieces were the bodies of some of America's finest men and women. Most of us also know that the investigations into the cause of the tragedy pointed out some serious shortfalls in human judgment and materials management. 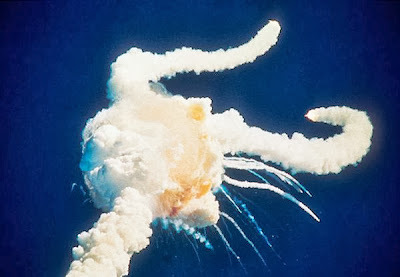 The New York Times put it frankly: the ultimate cause of the space shuttle disaster was pride. A group of top managers failed to listen carefully to the warnings of those down the line who were concerned about the operational reliability of certain parts of the booster rocket under conditions of abnormal stress. The people in charge were confident that they knew best and that they should not change the launch schedules. They were wrong. Are you afraid of seeking counsel? As we are told in our Bible verse today “Plans fail for lack of counsel, but with many advisers they success.” What a blessing it is that God has put wise people in each of our lives, why not take a moment and seek there counsel? Dear Lord, we thank You for the wise people You have put into our life. Help us not be too proud to not ask them for their advice. In Jesus’ Name, Amen.